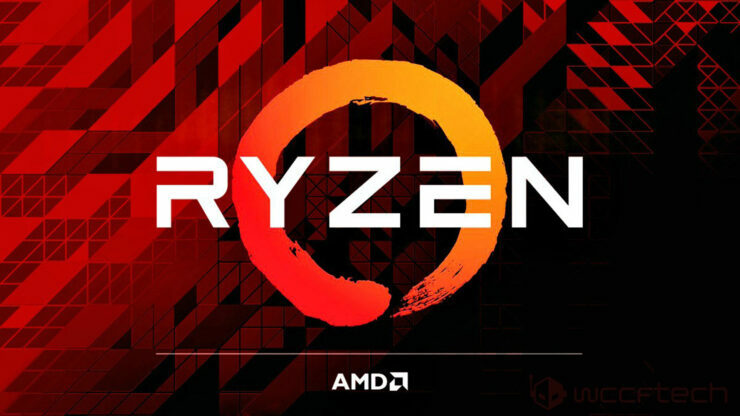 Ever since Ryzen launched many enthusiasts have been eagerly waiting for mini-ITX motherboards to build mean and lean compact machines around AMD’s brand new popular number-crunching processors. If you’re one of those folks, we’ve got good news for you. 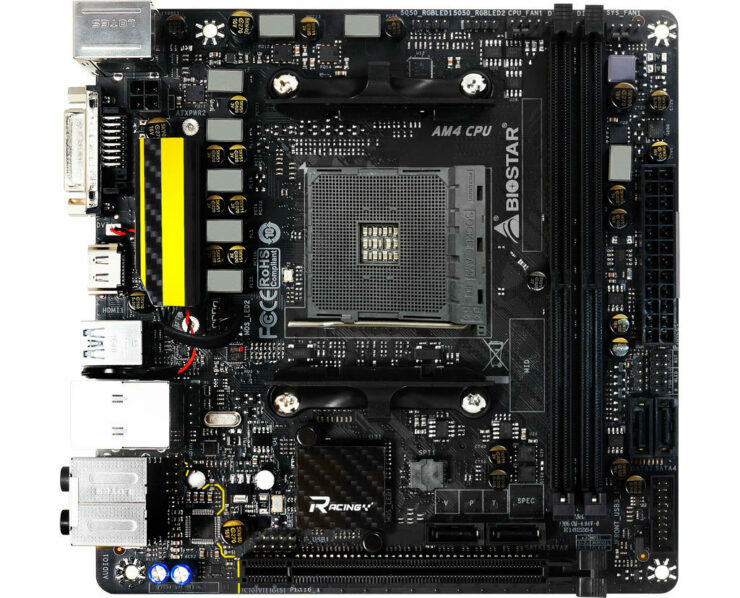 The first ever mini-ITX AM4 motherboard for Ryzen is here and it’s packed full of features. The board in question is the X370GTN from BIOSTAR and it’s quite the little scrapper. Amazingly, it features AMD’s top of the line enthusiast X370 chipset. This is slightly surprising as Mini-ITX AM4 motherboards were said to either come with the X300 or A300 chipsets. 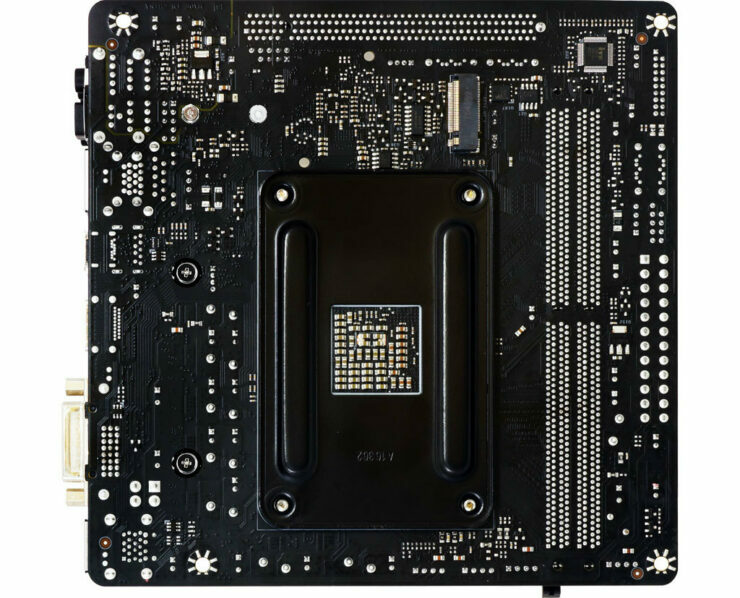 But it looks like BIOSTAR has somehow managed to cram in the full-fledged X370 chipset in this little board. In terms of graphics and storage expansion the motherboard features one PCIe 3.0 x16 slot, 4 SATA 6Gbps connectors and 1 M.2 slot. On the networking side we’re looking at a standard Realtek gigabit ethernet LAN controller, no Wi-Fi. The integrated audio solution is based on a physically separated circuit featuring the Realtek ALC892 8-channel high definition codec. All in all this is a very well rounded motherboard with a robust set of features. Paired with a Ryzen CPU this could make for an affordable and potent small form factor workstation. In fact, because the highest core count and highest performing CPU you can get on the Intel side in the same mini-ITX form factor is a quad core i7 7700K, mini-ITX Ryzen 7 builds should prove to be very popular among builders looking to cram in incredible amounts of performance in a small form factor machine. With 8 cores, 16 threads and a frugal 65W power envelope the efficient Ryzen 7 1700 CPU is uniquely suited for high performance mini-ITX systems. Which Ryzen CPU would you be looking to pair with a mini-ITX AM4 motherboard for a small form factor machine?